To build your credibility especially online is not a day or a week or a month job. 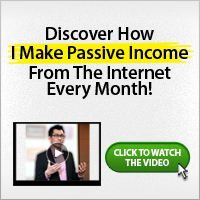 You need to be seriously committed to doing this if you really want to make any reasonable income online. Building credibility online is possible and requires some simple, but possible steps to achieve a success that can lead you to long term profits online. This is the first important step to start. Building a site that target a particular niche (topic) is the simple way to begin building credibility easily. When targeting a wider niche, chances are slim to be able to build credibility in the short term. For instance, when the niche you’re interested in is “cars” targeting cars is too general and may take you more work to be able to build credibility. Instead, a savvy person will be more specific. For instance, you can target “hybrid cars” or “GMC Acadia”. Once you have your idea, start building your website or blog around your niche. These make it specific and may give you better search engine ranking and these is the beginning of the exposure. Another way is to create a list and build relationship through it. You can incorporate it in your blog or website, by placing an opt-in form. Even without a website or blog, you can still build list online, but with a blog/website, these makes it more easier and fast. With a mailing list, you can create a series of information in the form of videos, articles, ebooks and podcast and put it on autopilot, which deliver the message into the subscribers email daily, weekly or monthly, depending on how you set it. When building your list, it is important to start one step at a time. Always remember, content is key. Provide useful and informative content. Show your subscribers your expertise and continue to provide the information until you have earned their confidence. 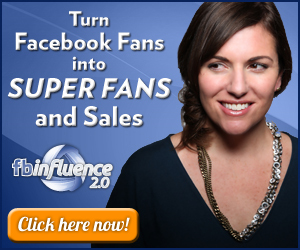 Participate in online communities like forums and or groups to build more credibility on a daily basis. There are several online communities you can join. Look for the forum or group that is related to your niche and join the communities. Participate in such communities and make your contributions. It should contain something useful and informative to the people of the communities. When you have nothing to share or you think is not useful, just don’t participate. Don’t just participate because you want to build link or you might be creating spam. It’s amazing how answering questions have become one vital way to build credibility online. With sites like yahoo answers, where you can answer asked questions and could even appear within the google top 10 search especially when your answer becomes the top answer. Success with answering questions especially with yahoo answers (the most popular) is simple. Just head over the site, read question and answer it. The best answers are informative and have at least 100 words in all. 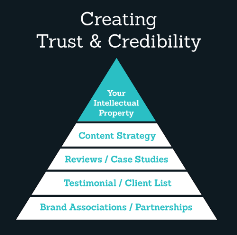 Building credibility is simple and comes one step at a time. Using the four methods above will ensure that you will in no time become an expert in your niche and people will follow your advice and recommendations. Here are the few ways. What other ways do you use or you think can be used to build your credibility online? I prefer the mailing list method as well as answering questions because they both end up turning you into the goto person. And with the mailing list you further build your own private tribe of fanatic followers. Yup, you are right about that. Building credibility is definitely a long term thing. The above tips are extremely helpful but let me just add by saying that the one thing you should absolutely get right is to over deliver on quality.